I was working with a customer at my store a couple of days ago and I can’t stop thinking about her. She came in for a new pair of shoes and supportive insoles, as she was working toward a goal of losing about 100 pounds and needing good footwear for workouts. As she was telling me about her struggles with her obesity, diabetes, high blood pressure, and muscle cramps, I asked her: how much water do you drink each day? Not enough, she replied. It turns out, my customer’s daily fluid intake is shockingly low–probably only about 8-16 ounces a day. Given that an average woman should drink about 10X that amount of water every day, I was, well, horrified to be quite honest. I tried to keep my shock in check as I encouraged her to try drinking more water, tea . . . anything! With the list of dangerous heath problems she is battling, drinking more water is probably the most simple, yet impactful change she can make. She purchased a nice pair of shoes and insoles, and also left with a complimentary water bottle that she promised me she would use every day. I too struggle to drink enough water (as most of us do, I suspect) and can definitely feel the effects when I don’t. One of my goals this year is to up my water intake. It’s hard to know how much to drink, but as a very active person living in the Southern Arizona desert, I need a lot. As best I can calculate, I should be drinking about 100-120 ounces each day depending on my workouts and the weather. Right now, I’m probably getting about 60-70 ounces. It’s definitely difficult to get it all in, especially during a busy day. I’m trying techniques like drinking a glass each morning before my coffee, keeping my water bottle close by at work, and doing my best not to let myself feel thirsty. If you are looking for a simple way to be healthier this year, drink more water! Here’s a formula you can use to estimate your needs: Calculate 65% of you weight, and that equals the ounces of water you need to drink each day. Add 12 ounces for every 30 minutes of exercise you do each day. If you live in a hot, dry climate, aim even higher. Of course this is an estimate, but it’s a good place to start. 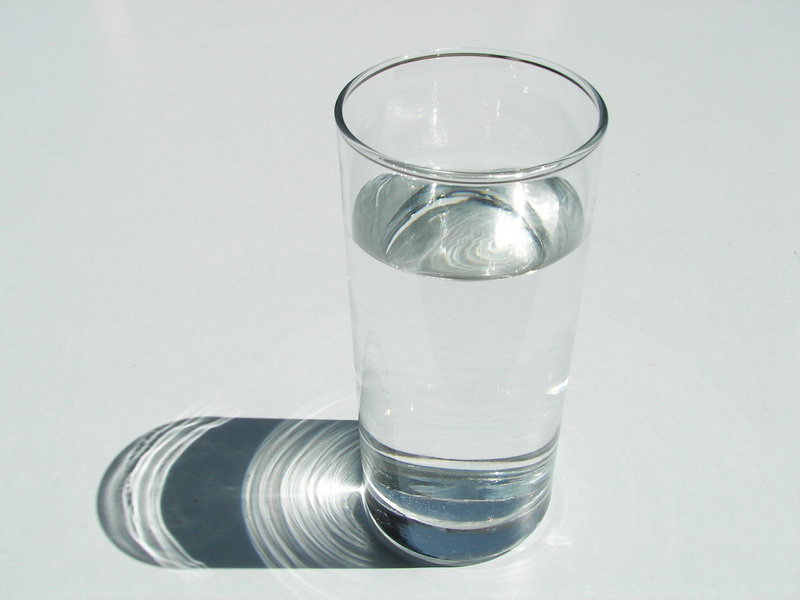 Yes, it is possible to drink too much water, but that’s very rare, especially considering most of us also consume too much sodium and sugar. If water is just too bland for you, try adding a touch of juice or herbal tea. As Southerners, our family tradition is eating greens and black-eyed peas for New Year’s to bring us luck and good fortune. Dating back to the Civil War, this tradition originates from General Sherman leaving the black-eyed peas untouched in the fields as he marched across the Southeast destroying, leaving destruction in his wake. 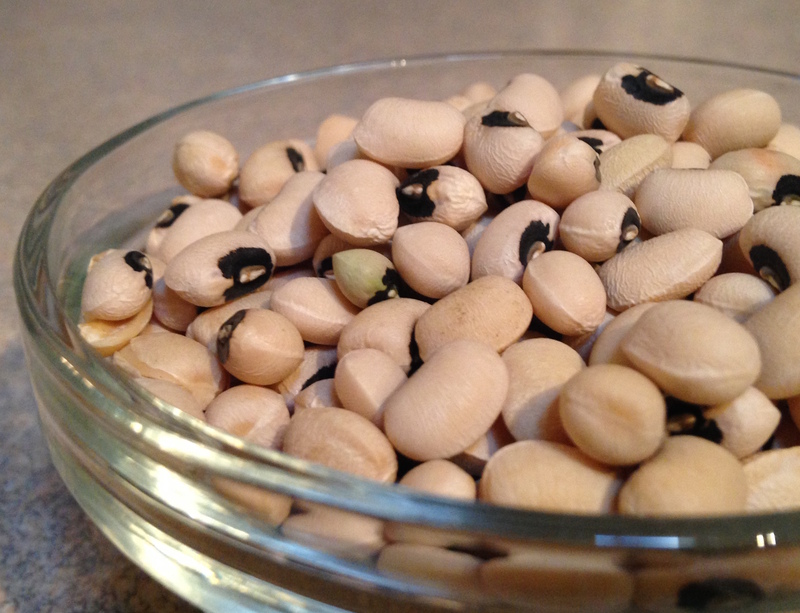 Considered a crop for livestock, Sherman’s men didn’t deem the black-eyed pea worthy to plunder. The peas provided a steady food source for the surviving Confederate Soldiers and Southern citizens. Today, most of us eat a version of Hoppin’ John, a dish made with salted pork and black-eyed peas. Variations can include adding greens and tomatoes to make a flavorful, savory stew. 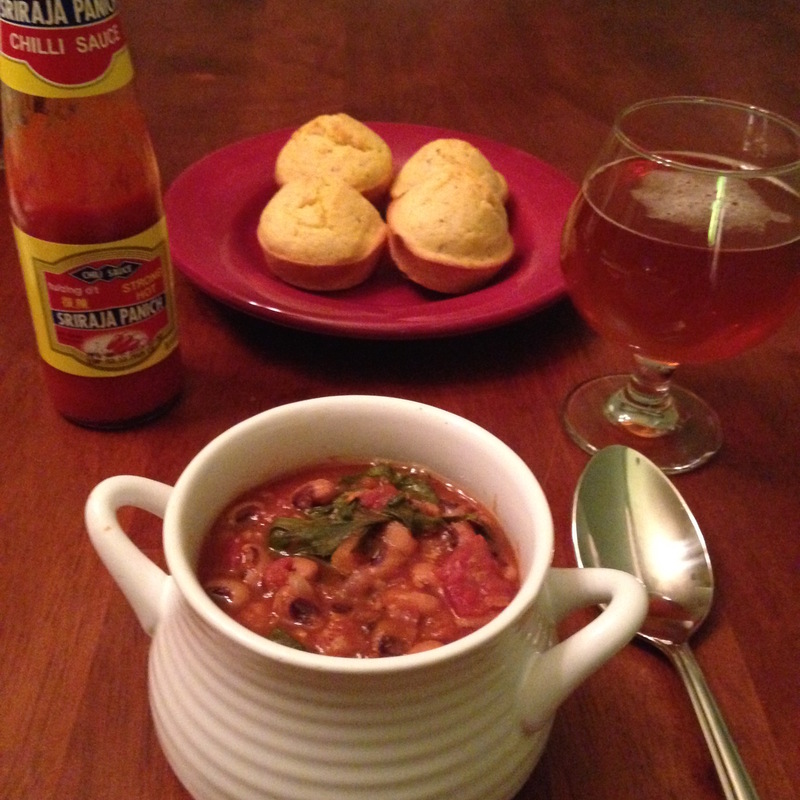 Here’s the recipe for my vegan version of Hoppin’ John. I make mine in a crock pot, but you can use the stove top as well. I’m not a big one for measuring spices in the kitchen, so when it comes to seasoning, add and taste along the way. You can adjust the liquid based on how thick you like your stew. I hope you and your family have a wonderful, lucky 2015! Combine all of the above ingredients in a crock pot and cook on high for 4-5 hours, then turn to low once the black-eyed peas soften. About 30 minutes prior to eating, add the greens of your choice. Swiss Chard, kale, and collards all work well. If using the stove top, cook on medium-low for about 1-2 hours until the peas are tender. Serve with your favorite hot sauce if you like it spicy! 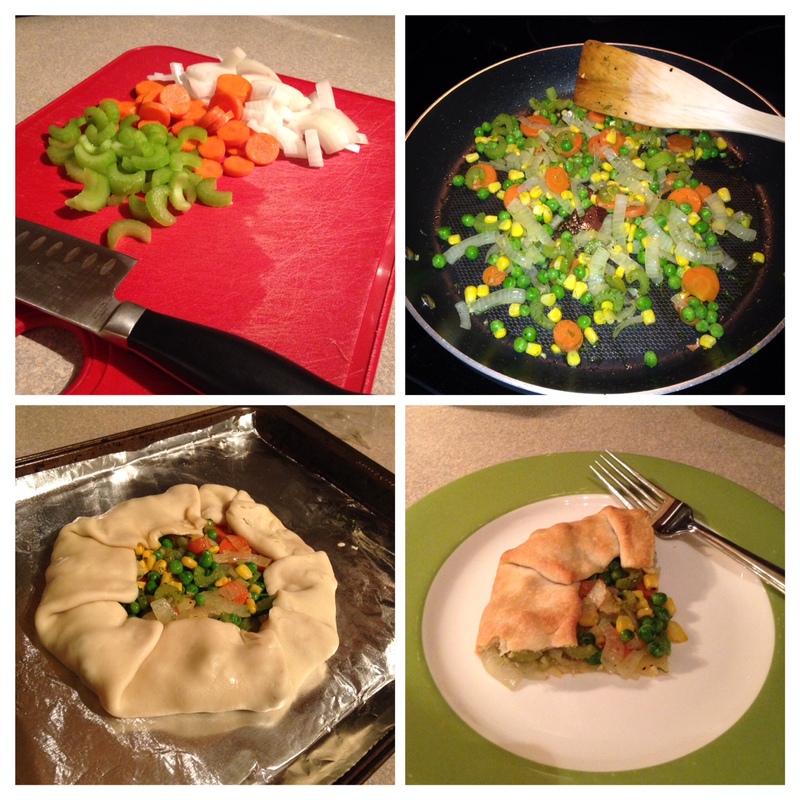 After a quick chop, saute with olive oil, salt, pepper, garlic, and sherry, I filled the pie crust for a veggie galette. It turned out pretty good. Folks often ask if it’s difficult to stick to a vegan diet, and it is at times, especially when the quick and easy solution takes me away from my goal to eat healthy. What I enjoy is the creativity I’ve discovered in my cooking. Yes, my diet is limited, but the possibilities for good meals aren’t. Welcome to Not Another Vegan. Here you’ll find an honest look at health through the lens of one woman’s attempt to maintain a vegan diet, stay fit, and find balance in life. As the manager of Fleet Feet Sports Tucson, I get to meet people everyday who strive to improve their health and fitness, and come to us for guidance and advice. It’s quite a priviledge to be a part of their journey. I wanted the opportunity to share my passion for food, fitness, and healthy living with a larger community. Please feel free to share your thoughts, questions, and comments. Thanks for reading!